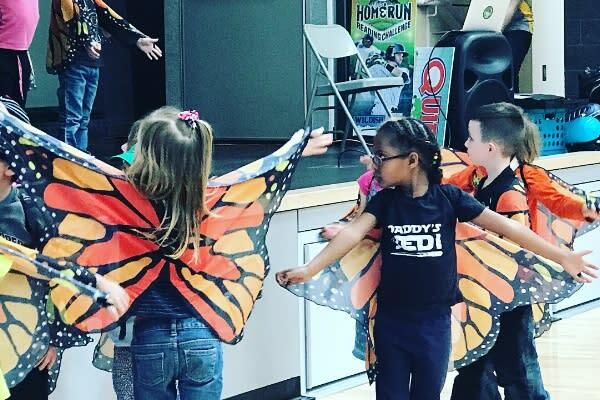 The Eugene Emeralds announced their new brand addition, Monarcas de Eugene, on Tuesday at the Camino del Rio River Road Elementary School in Eugene. 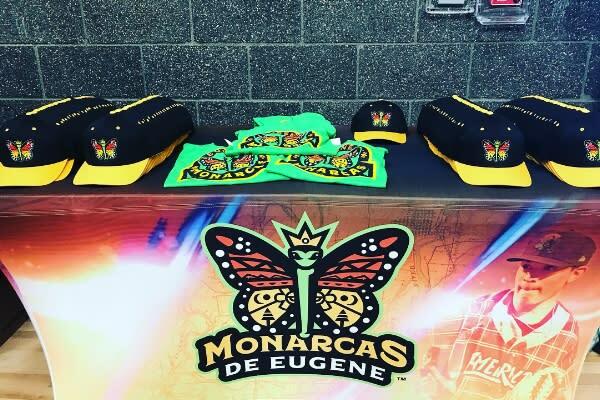 Los Monarcas de Eugene (The Monarchs of Eugene) is part of a national initiative to celebrate diversity in Minor League Baseball as well as support the many Latino communities. Thirty-three teams will be participating in the MiLB new "Copa de la Diversión™" ("Fun Cup™") season-long event. During six of the Eugene Emeralds home games, PK Park and the Emeralds will be transformed into Los Monarcas de Eugene. Dozens of children came out on stage after the Eugene Emeralds made the announcement, showing off their beautiful Monarch wings and dancing with Sluggo, the Emeralds&apos; mascot. This brand addition comes with new uniforms for the team, as well as amazing new merchandise for fans to buy at the stadium or through the Eugene Emeralds website. The Monarca logo was intricately designed, with little, hidden details that are very important to the meaning of the new brand. 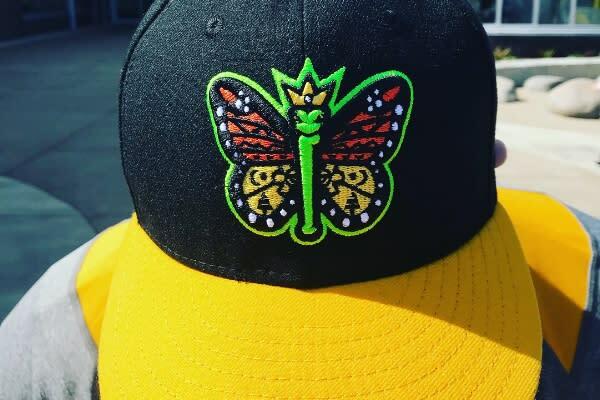 The body of the butterfly is a baseball bat, and there are little trees at the bottom of the wings to represent Oregon. The 33 white dots around the outside of the butterfly represent the 33 Latin countries. 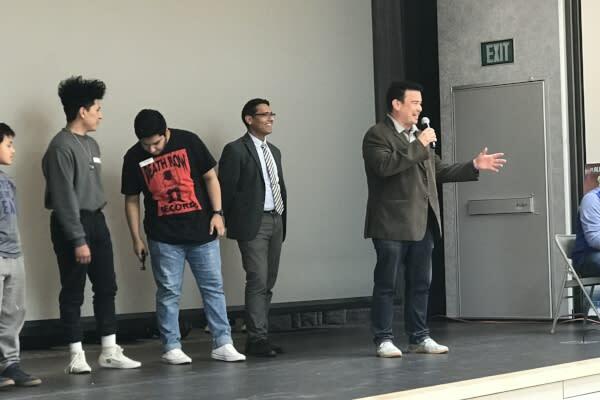 Los Monarcas de Eugene games will take place over the summer. For a full list of game dates and times, see the Eugene Emerald schedule. Spencer started as a marketing coordinator with Eugene Cascades & Coast in February of 2018. She is a native of Coos Bay, Oregon and a recent graduate of the University of Oregon School of Journalism and Communications. During her time at the university, she worked as a reporter, anchor, and producer for Duck TV News, a student-run broadcast station. Last winter, she spent six months in Los Angeles, CA interning for ABC News. Most recently, she worked as a reporter with KEZI 9 News here in Eugene, gaining experience as an on-air reporter, writer, editor, and photographer. 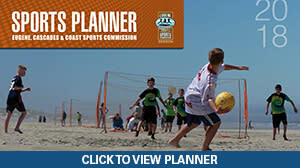 Spencer has also spent three years working as the marketing director for a medical office on the Oregon Coast, building their website and developing social media content and marketing strategies. In her spare time, she enjoys cooking, spending time with her corgi, Louis, and ice skating.